If Beer gets its own Category, then, well, you know. Okay, today’s entry is on a much lighter vein than some of the previous days. I was at home minding my own business on Saturday morning when I heard a knock at the door. It was a young boy of about 12 or so. 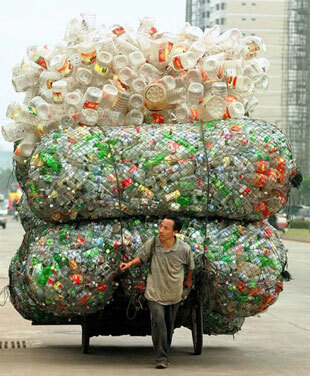 He asked: “Excuse me mister, would you have any bottles you could donate for our bottle drive? We are raising money for a school trip to Quebec.” I indicated that I might have something to donate and instructed him to meet me at the garage. We had a box of bottles and a blue bin of cans in the basement and I grabbed those and met him in the back. I instructed him to tell his father to back the truck into the driveway. He smiled and indicated he could carry what I was holding in my hands. That is when I opened the overhead garage door. Queue the sound of an angelic choir and blissful light shining from within the garage as he gazed upon the mother lode. He ran excitedly down the driveway calling for his father. At that point a host of other kids on the bottle drive appeared and the flurry of excitement began. The truck backed into the driveway and a host of excited preteen boys started carrying and loading boxes of bottles and bags of cans. They were going to fill the truck with one stop. The number of heartfelt “thank yous” was amazing. Now before you pick up the phone and call the crew from the show “intervention”, let me explain. I host a poker league, weekly boardgame nights, the annual BixCON gaming convention, and a number of other events. Sure, I like my beer and Kathy enjoys a glass of wine, but these empties were not all ours. Okay? We good on that? We stage recyclables for months until such a young enterprising person happens to knock on our door. It is fun to see their reaction. Today I am thankful for the unbridled joy and enthusiasm of youth. May we as adults draw a lesson from the purity of happiness that is experienced and expressed without reserve, without hesitation. The outdoor Turkey Cooker is a radiant heat oven that you use to cook a turkey. 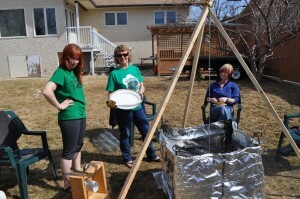 It is heated with charcoal briquettes. 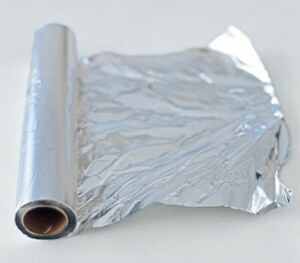 You will need a fairly good sized roll of aluminum foil. The wider the roll; the better. You will also need three 8 foot long poles. We used 2″ x 2″ purchased at Home Depot. 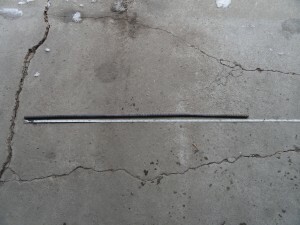 A six foot length of small link chain is going to be needed to suspend your turkey. 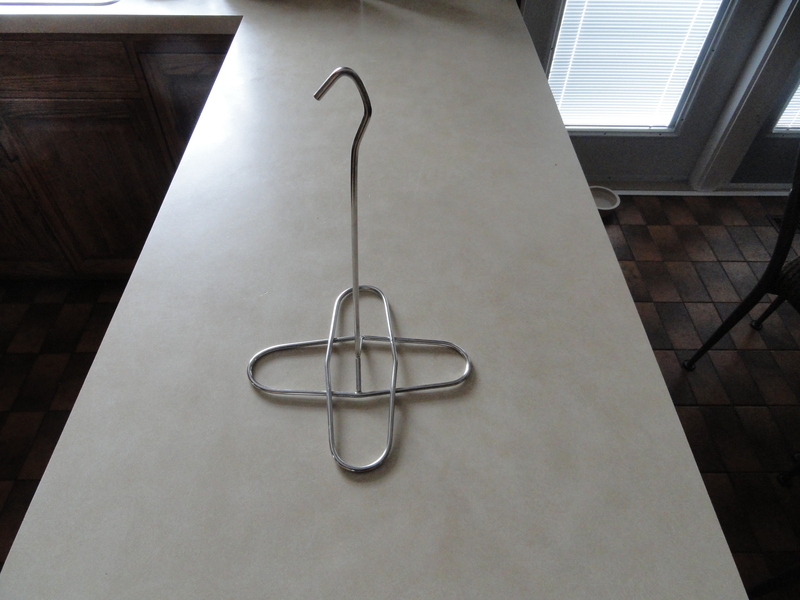 A stainless steel hook for holding your turkey while it is suspended in the oven. 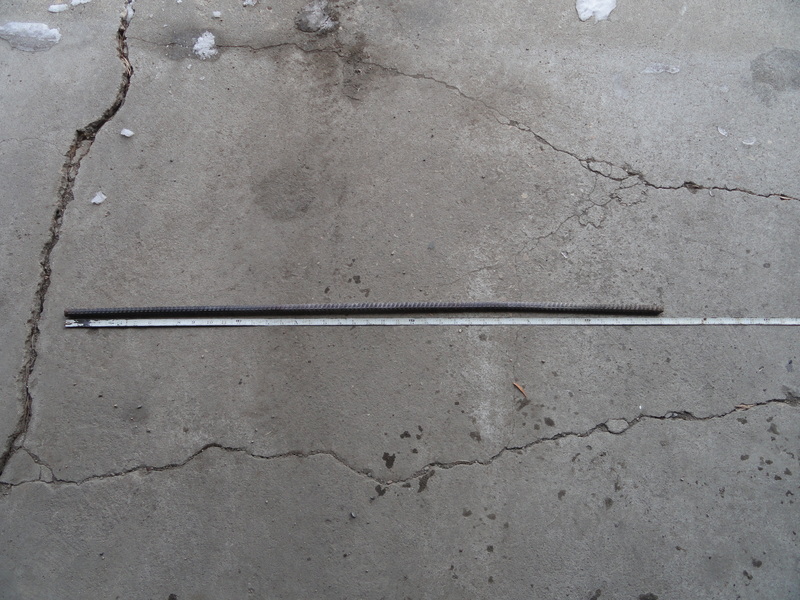 Additionally, you will need to have four rebar poles, or reasonable substitutes and they should be about 40″ in length. 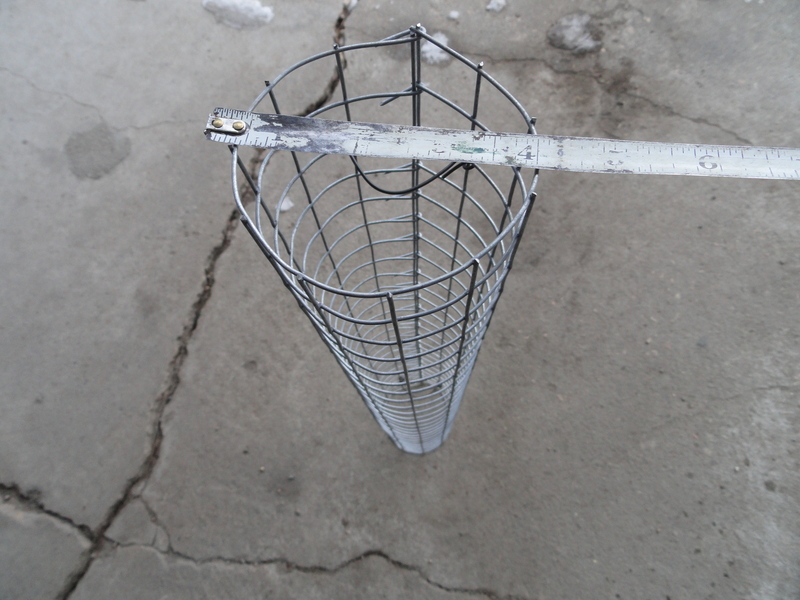 The hardest part of the construction will be the four mesh (chicken wire) cylinders that will be used to house the burning charcoal briquettes. 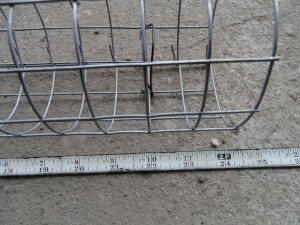 For these you will need to measure and cut the mesh then fold the remaining tabs to the other side to give it stability as a cylinder. 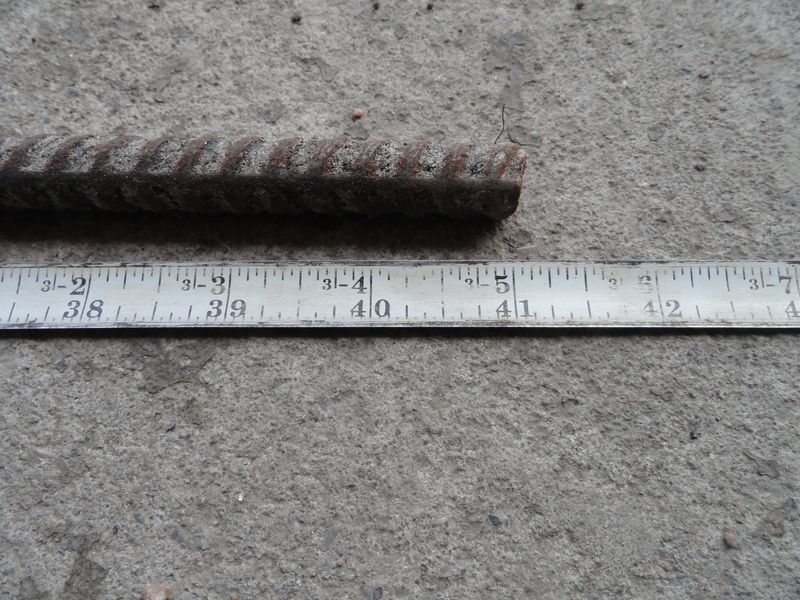 Also, in the picture below, see the wire fasteners that will be used to slide the cylinders over the rebar posts. 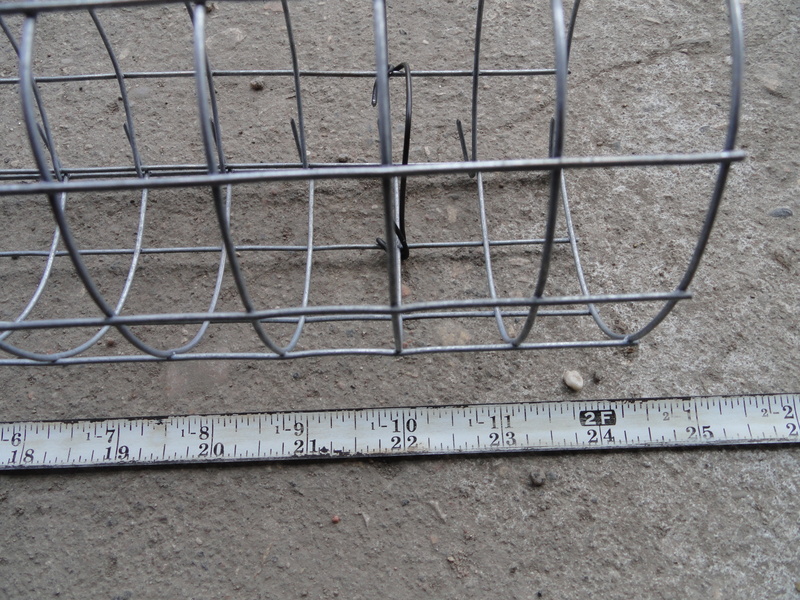 You will also need to aluminum trays. One for starting your briquettes, and another to use as a drip tray for your turkey. 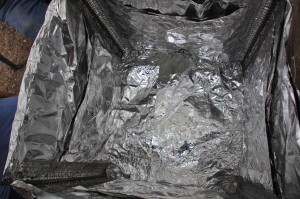 You will also need a coil of wire that you can use to give the walls of your tinfoil oven some stability. You will need two large bags of charcoal briquettes and some tongs for transferring them from the fire tray to the cooking cylinders. In a large stock pot over medium heat, pour in the vegetable broth, apple cider, apple juice, and water; stir in kosher salt, poultry seasoning, onion powder, black pepper, rosemary, sage, and thyme. Bring the mixture to a boil, stirring until all salt has dissolved, and boil for 30 minutes to extract flavors from herbs. Remove from heat, and allow to cool to room temperature before using as a turkey brine; allow brined turkey to marinate overnight. At this point you are ready to take your roll of tinfoil and construct the walls of your oven. Start at the bottom and keep circling the oven to create the four walls. 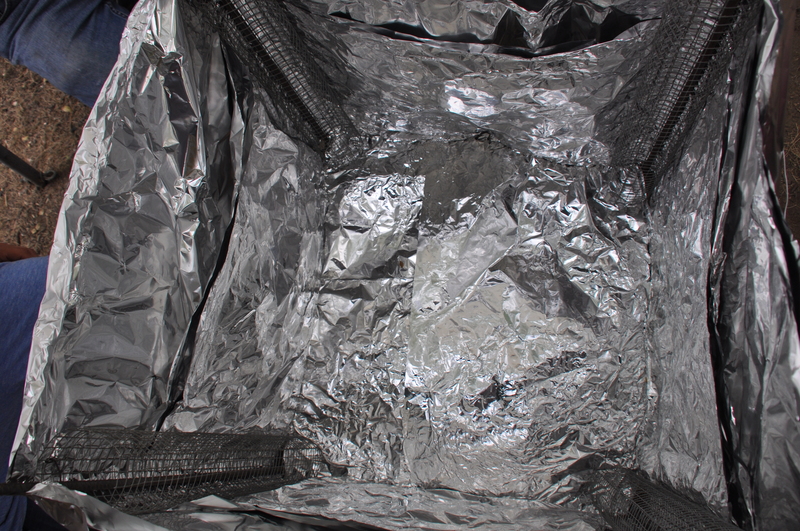 We suggest a couple of layers of tinfoil to make sure the walls are stable and more resistance to the wind. Once you have wrapped the outside to create four walls that are the full height of your cylinders, you should use the wire to add some additional stability. 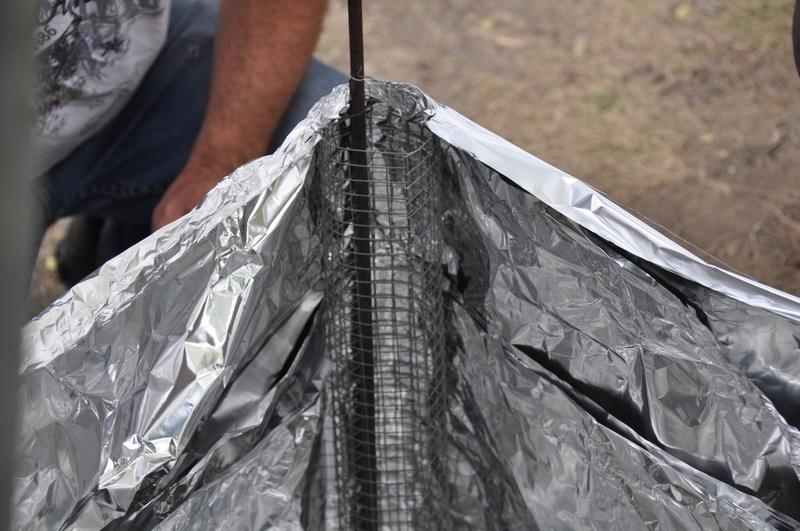 Again, circle the walls of the oven on the outside with the wire to give the walls a bit more strength and resilience to the wind. Now the oven is built. 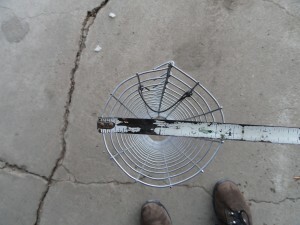 Set your trip tray in the bottom and we will now focus on setting up the tripod. The three 8′ poles should be secured at the top to make a solid tripod that can easily and safely suspend a 25lb turkey. 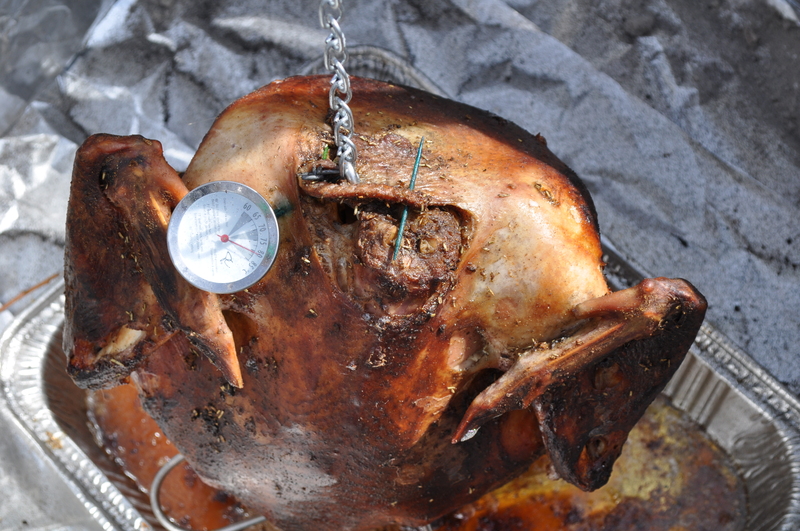 Once the tripod is set u, you can attach the chain that will suspend the bird and you are close to being ready to cook the beast. At this point I should mention that it is important to start the briquettes early to give them a chance to start burning. We use a separate aluminum tray for this. If you have a firepit handy, that would be an efficient way to start them. 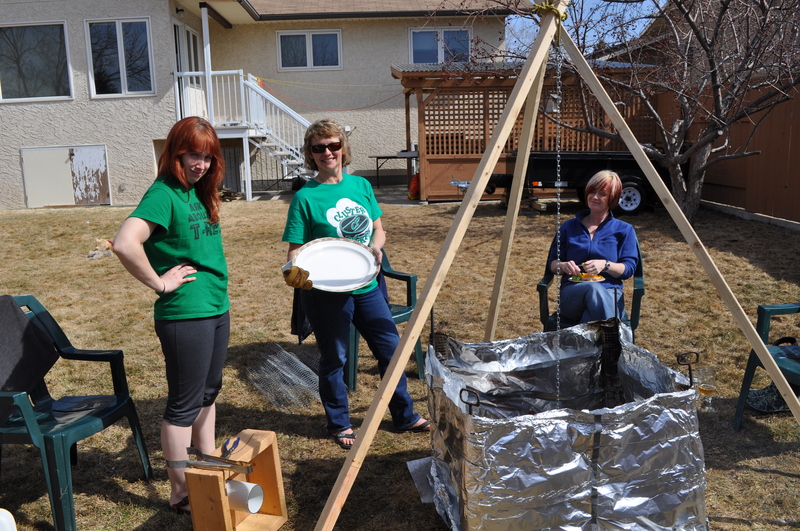 Once the briquettes start burning, you can transfer them to the four cooking cylinders. 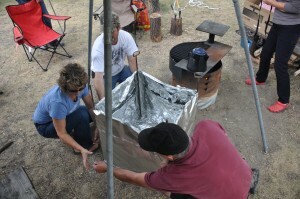 Transfer them evenly to the cooking cylinders so the heat will be even to the bird. Bird is suspended a few inches above drip pan. Coals are burning. 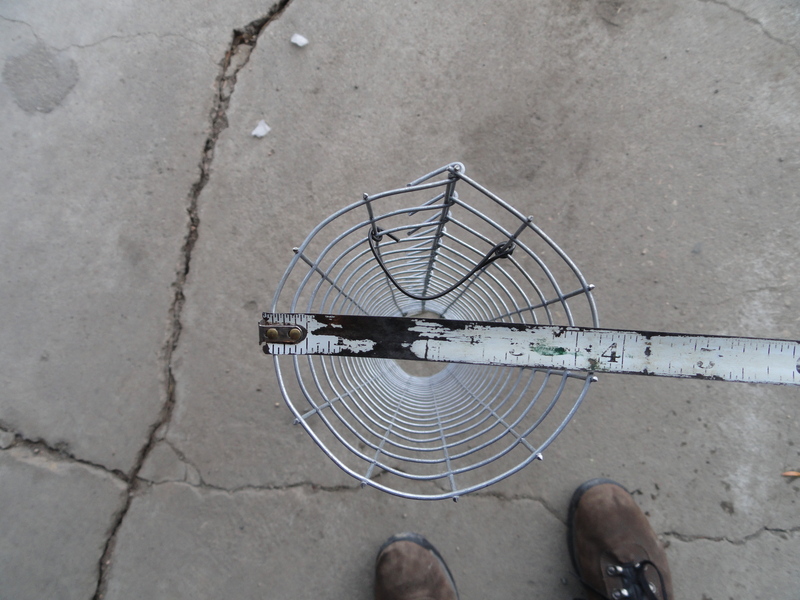 Tray that we use to start the Briquettes Burning. We refill this constantly as we transfer them to the cylinders. Checking in on the temperature of the Turkey. Notice the chunk of drywall at the base to buffer the lawn from burning. 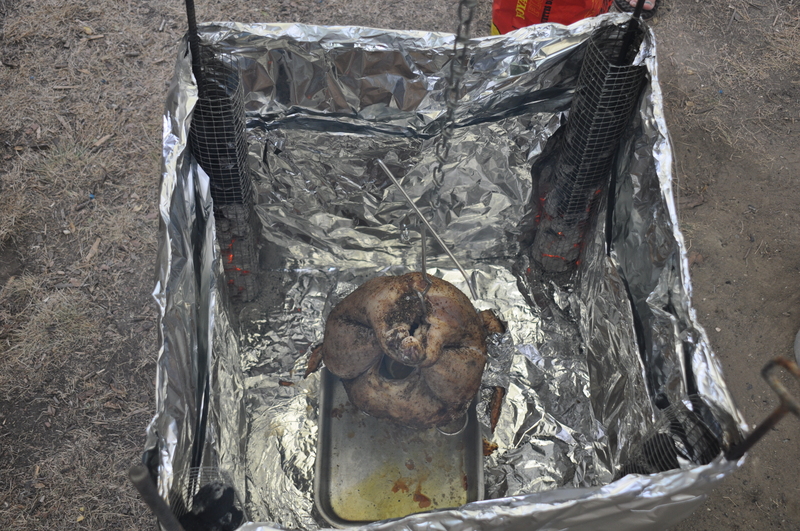 Another view showing the tripod and chain. Tada. Time to open up another bottle of wine. 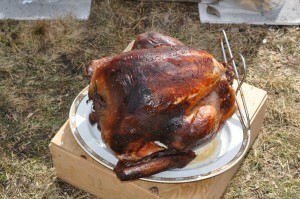 Put the turkey on the turkey hook and suspend it in the radiant oven. 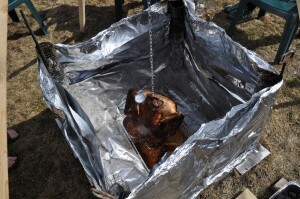 Adjust the chain length / tripod to make sure the turkey is centered and a few inches above the drip pan. Now. it is a matter of making sure the cylinders are filled as they burn down. 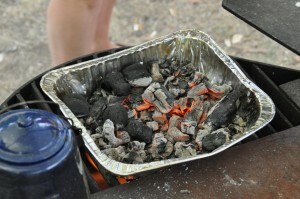 Remember to have a staging tray to pre-ignite the briquettes. That will make things smoother and quicker. Also, you will have to tap the rebar posts / cylinders to shake loose ash to the bottom and allow the briquettes to drop into the cylinder. by keeping the cylinders free of ash and constantly full of briquettes, you will generate more heat and cook the bird quicker. 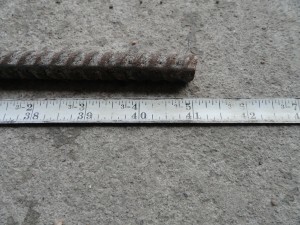 At some point you made need a long stick or pole to brush some of the fallen ash away from the bottom of each cylinder so it does not block the heat from the burning briquettes. 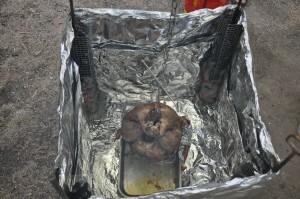 Note: We cooked what we believe to be about a 25lb in exactly 3.5hrs the last time we did this. That is a great cook rate and the turkey was incredibly tasty. One last thing, it is important to have two bottles of white wine chilled. One to open with your meal and the other to drink while cooking.